Ian’s training within the SAS and operational service in Malaya served him well in Vietnam where he was a company commander of Bravo Company 6 RAR. During Operation Bribie he lead his outnumbered company’s desperate bayonet charge, followed by close quarter fighting, against a well dug in and determined enemy. This action sharply illustrated the courage, the battle discipline and the spirit of the well trained Australian combat infantryman. This book is a tribute to Ian Mackay’s qualities as a battlefield commander, an international sportsman, a successful businessman and an entertaining author. Fifty years ago on the afternoon of 17 February 1967, an Australian force found itself facing defeat in a thick patch of jungle near the coast of Phuoc Tuy province. In just over five hours of fighting eight Australian soldiers were killed and another 27 wounded. This battle became known as Operation Bribie, one of Australia’s worst days in the Vietnam War. Major Ian Mackay (Rtd) was the Officer Commanding when his outnumbered ‘B’ company 6 RAR were primed for a quick short attack on a company-sized Viet Cong force. Mackay remembers the chaos of the battle: The conditions were appalling, in stinking heat with many almost blinded by the smoke from fires, in a fight to the death against a determined, efficient enemy near the village of Hoi My in Phuoc Tuy Province. The action was so close at times that any attempt at movement meant that you were shot or shot at. Mackay has written a detailed blow-by-blow account of the progress of the battle and the difficulties he faced as well as a brief analysis of the outcome. 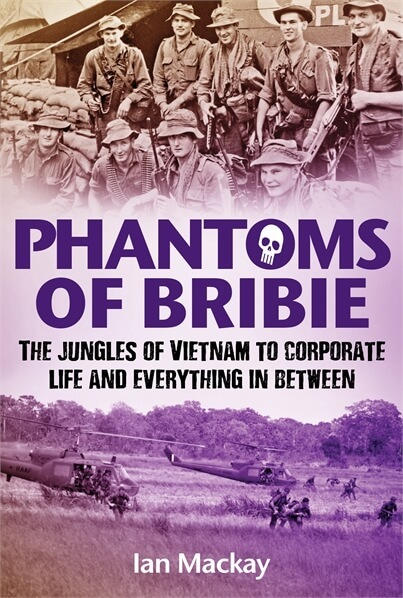 On leaving the Army, he excelled in the business world but it is his Vietnam experiences that will interest military history readers.